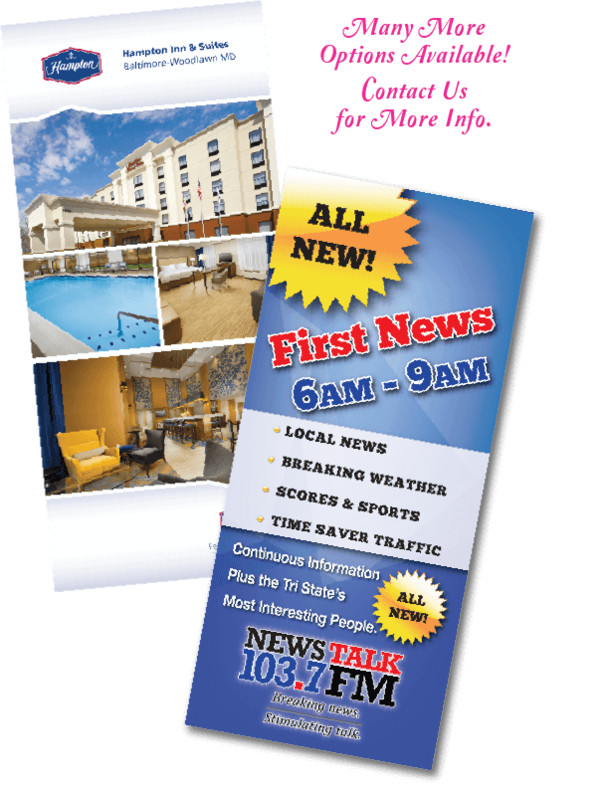 Custom rack cards grab attention with eye-catching graphics and bold headlines. They are a handy way to communicate the benefits and features of your products and services and are perfect for listing prices. Opt for a double sided card if you need more room to share your message. 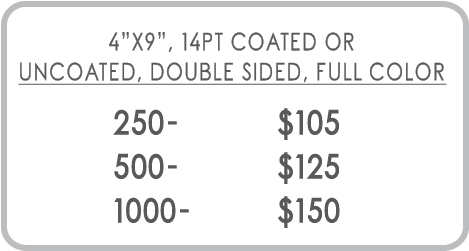 The standard rack card size is 4”x 9” and is available on a variety of paper options.